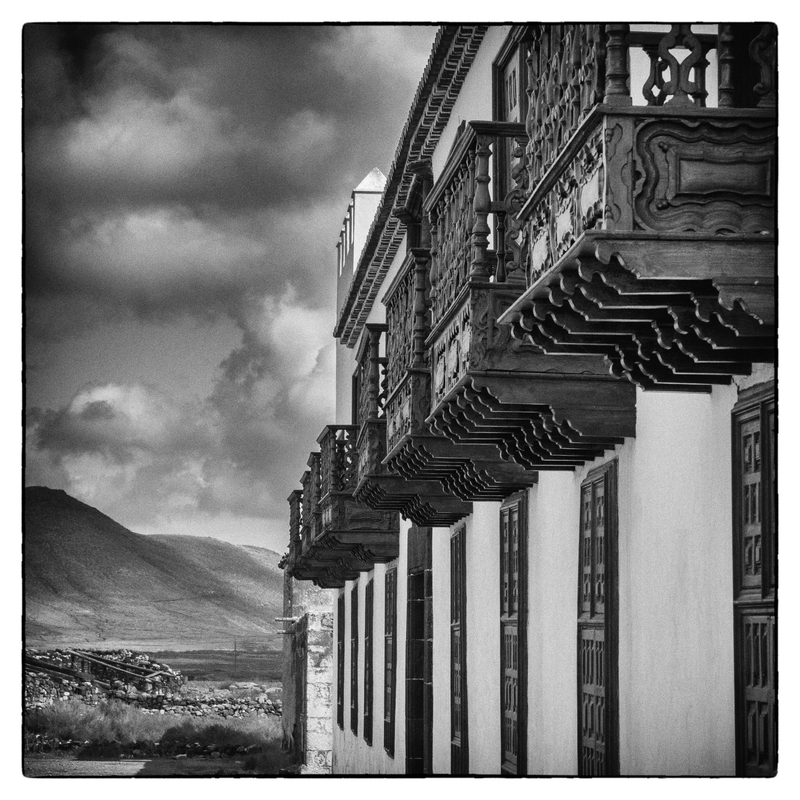 Casa de los Coroneles is a stately home in the northern province of La Oliva on the island of Fuerteventura. It was once the seat of the island’s colonel and now is the location of an art gallery. 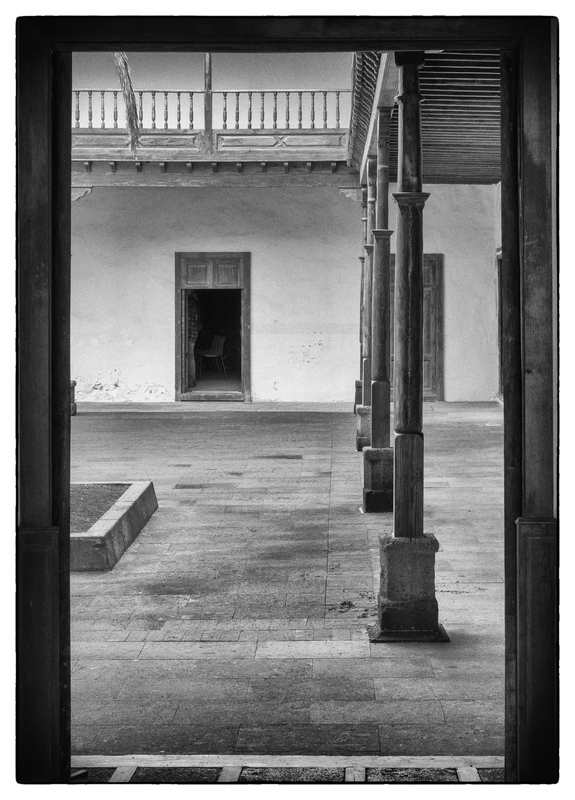 Built around 1740 in a Canarian-Andalusian style the Casa has an imposing northern façade with eight windows on the ground floor and eight more on the upper level. 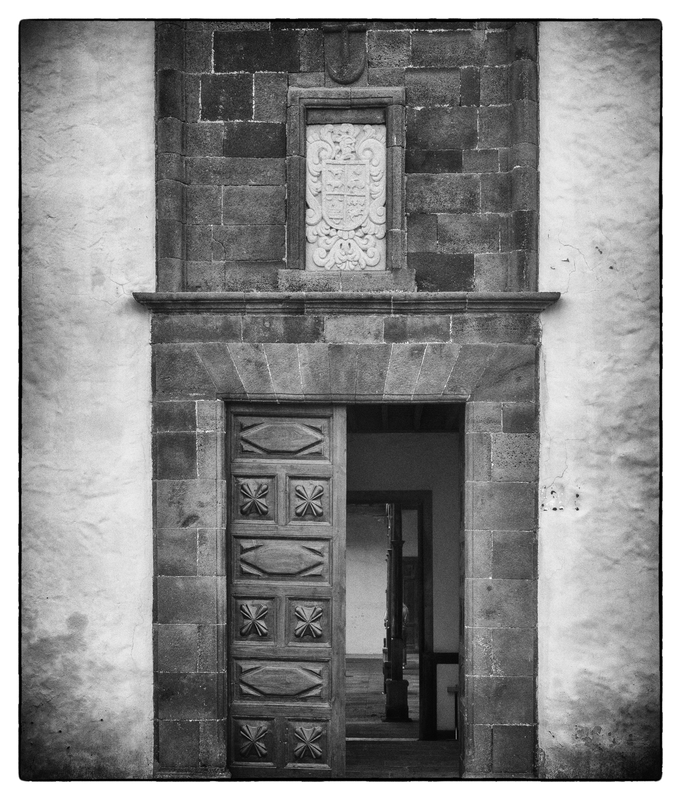 In keeping with traditional Canarian architecture, each upper window has a wooden balcony. 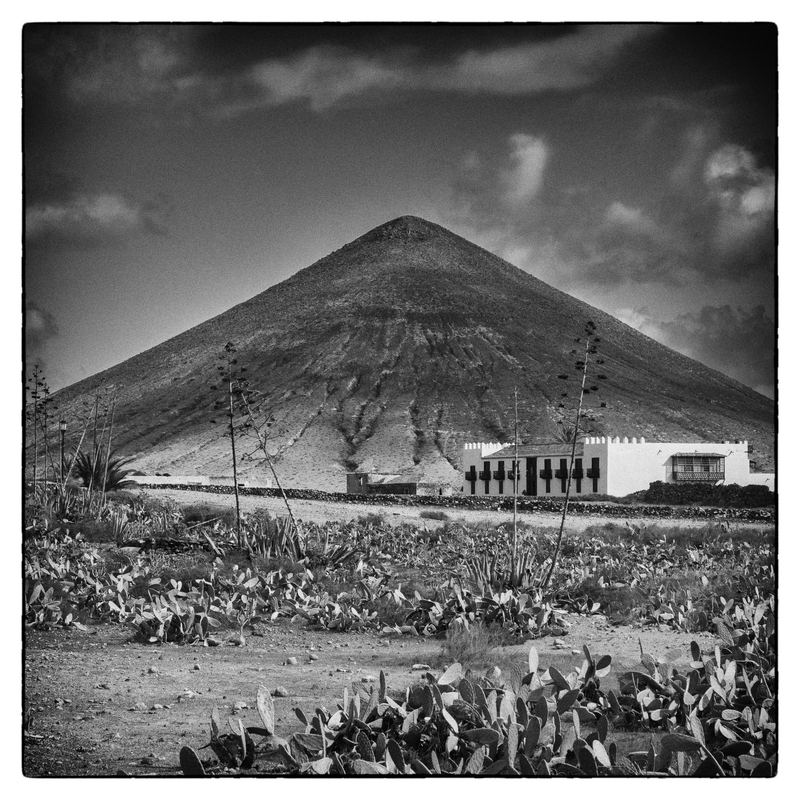 Immediately to the east of the Casa there is a volcanic ridge which when viewed from the Casa appears as a perfect cone shape and thus can make a perfect backdrop. 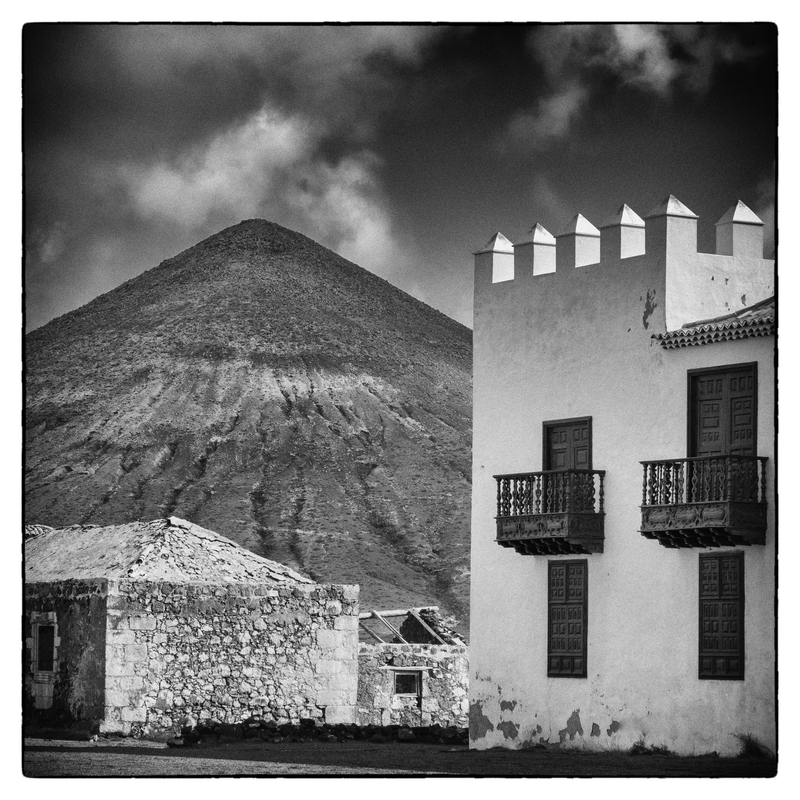 As with many scenes in Fuerteventura there is little colour to be found rather it is the textures and contrast created by the strong light that can create interesting photographic opportunities which in my opinion are best represented in black & white. 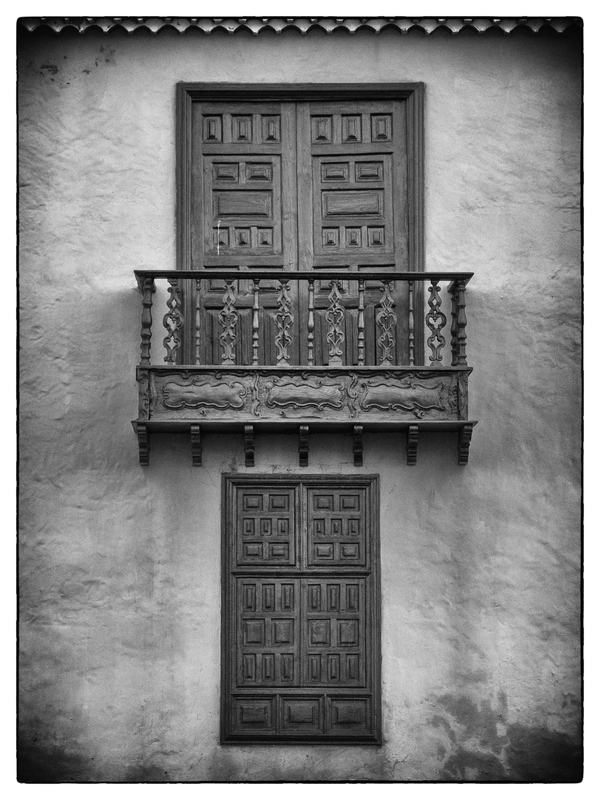 All images were taken in colour and converted to my taste in Silver Effex Pro – as always click on the images to see them larger. like them all but love the second one down. Brilliant!